The following example describes what steps you should perform in order to add Telerik UI for Windows Universal in your application. 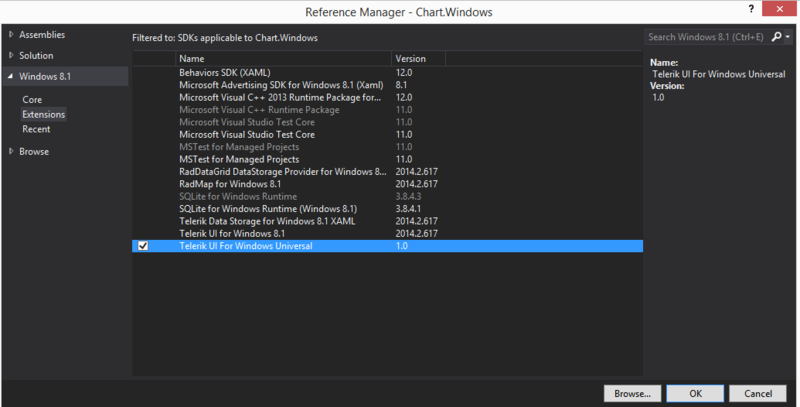 Before walking through this example, you must have installed Telerik UI for Windows Universal, Windows 8.1 / Windows Phone 8.1 and Visual Studio 2013 on your machine. 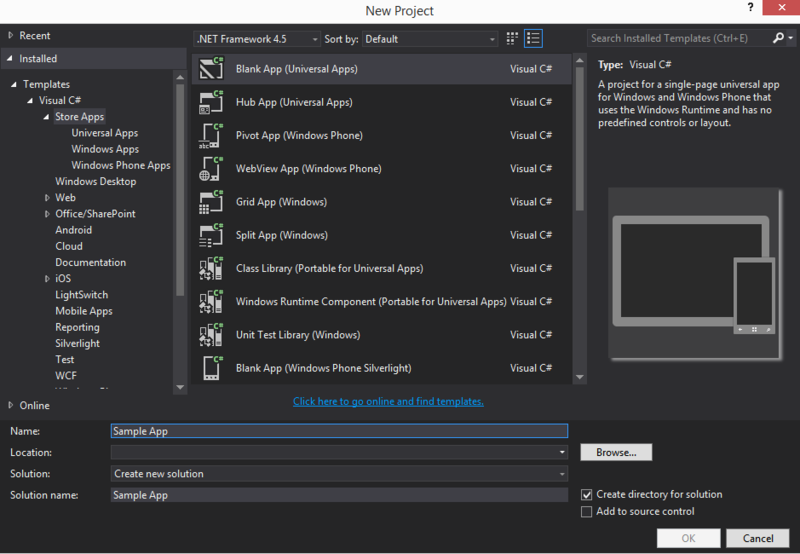 Choose Create new project > Store Apps. Choose Blank App (Universal Apps). Name the project SampleApp and click OK.
Right-click on project References and choose Add Reference. In the Reference Manager, select Windows -> Extensions. Select Telerik UI for Windows Universal and click OK.